White Label Space is proud to announce its newest partnership with the Australian/New Zealand group called Lunar Numbat. 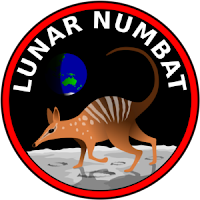 The Lunar Numbat group will use their skills and Open Source technologies to help us develop novel hardware and software solutions for our Google Lunar X PRIZE (GLXP) mission. The Numbat is a small and cute marsupial animal native to Western Australia. The Numbat was formerly classified as endagered and had a total population less than 1000 in the 1970's. Today however, its population has increase somewhat and it is classified as 'vulnerable'. While working with us on GLXP, the Lunar Numbat group also hopes to bring about innovations in space science using open source technologies, to collaborate with other space science entities, to educate as to the benefits that space science provides all people and advocate the formation of an Australian Space Agency. Perhaps the recovery from near-extinction of the Numbat can set a good example for the recovery of the Australian space industry, which is currently in a state of neglect by the Australian government. In the coming months our White Label Space core engineering team will work together with the Lunar Numbat group to determine which parts or subsystems of our space mission they will develop. White Label Space looks forward to forming partnerships with other like-minded organisations around world who have the right stuff to undertake ambitious space exploration and to inspire today's generation that wasn't even alive when humans last walked on the Moon.